I love reading and filling out these Facebook questionnaires. But you know what I hate? Deleting other people’s answers so I can fill in my own! So here’s what I’ve done for you; I have two copies, one blank and one filled in. Go ahead and copy and paste the free template of these Valentine’s Day Facebook questions! In honor of Valentine’s Day — all couples: Make this your status and answer honestly! Who has the craziest ex’s? Okay, love bugs, now I’m going to fill in my answers! Who’s older? Ed is 3 and a half years older than I am. Who was interested first? I was. How long have you been together? Seventeen years. Who makes the most mess? We both do. Who has more tattoos? None for either of us. Better singer? We are both good singers. Hogs the remote? He doesn’t watch TV, but I do. Better driver? We are both good drivers. Spends the most? We are both frugal! Smarter? Of course, I am. Did you go to the same school? Not at the same time; I attended his grade school for 7th and 8th grade when he was already in high school. Where do you eat out most as a couple? When we were dating, we ate at the Countryside Saloon every weekend. Now I cook at home most nights. Who does the cooking? I do. Who is the neat freak? I am more than he is. Who is the most stubborn? Hm, we both cave in quickly! Who hogs the bed? We stick to our own sides. Who wakes up first? He does. Who has the bigger family? I do. Do you get flowers often? No, but that’s okay with me. Who drives when you are together? I do. Who picks where you go to dinner? I do. Who wears the pants in the relationship? We both do! Who eats more sweets? I do. Lily and Emmy earn free tickets to Six Flags Great America through their reading program during the school year. Six Flags is only about a 45 minute drive from us, and we try to go once a year. My in-laws live even closer to Six Flags so they buy a season pass. A couple of weeks ago, we all went together–and then split up once we walked into the gates. Ed and my nephew convinced me to go on the new coaster Goliath, supposedly the tallest and steepest wooden roller coaster in the world, while Lily and Emmy went with my niece and sister-in-law for some tamer rides. After a 2 hour wait, it was finally our turn. It was a little nerve-wracking that Goliath didn’t have shoulder restraints, but a lap belt and lap bar instead. 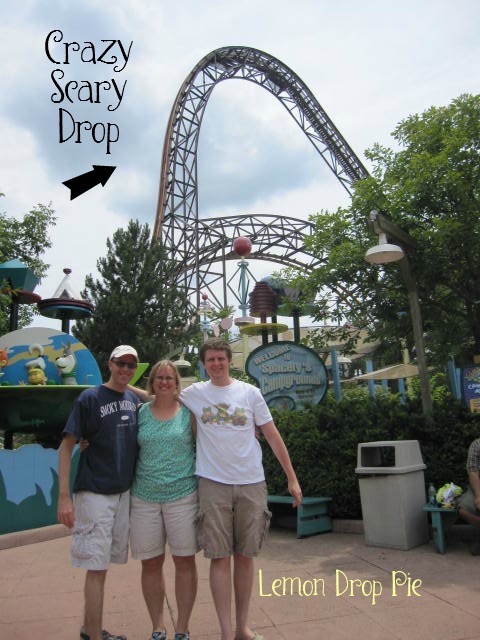 That first drop just about did me in! And then we went upside down twice and through a corkscrew, not necessarily in that order…my brain was a little scrambled. I may have screamed a little. Later that day, as we were walking past X-Flight (last summer’s new coaster), the wait sign said 45 minutes. Ed hadn’t been on it yet, so we decided to wait while the rest of the group went to a different ride. It soon became obvious that the wait was going to be twice as long as the sign said. Ed and I passed the time with some old-married-couple conversation. 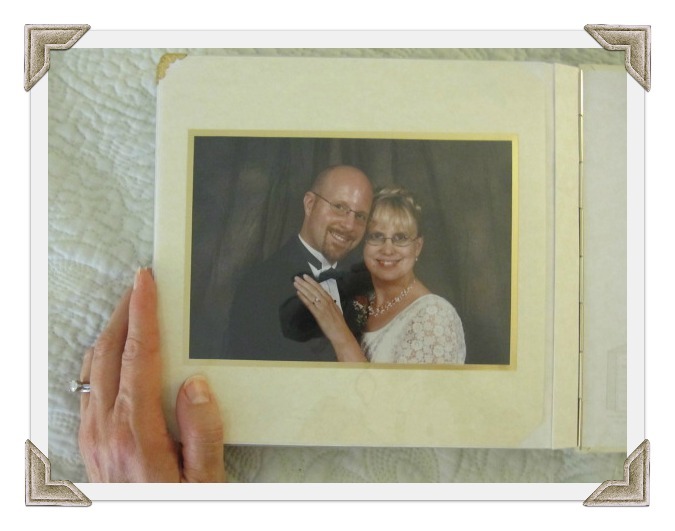 And of course, the long companionable silences that comes from being married for almost 12 years. “No. He’s actually very boring,” I said. And then they had to move in their direction and we moved in ours. After our “flight,” (Ed said, “You know it’s a good ride when Ginny laughs the whole time!”) Ed and I joined the rest of the group. The girls wanted to go on the Demon, another roller coaster, so we waited in yet another line. As we were waiting, Ed started to joke around with our nephew, making everyone laugh. All I did was give him a look. “I know what you’re going to say,” he said. And I didn’t even need to say it. I just laughed instead. 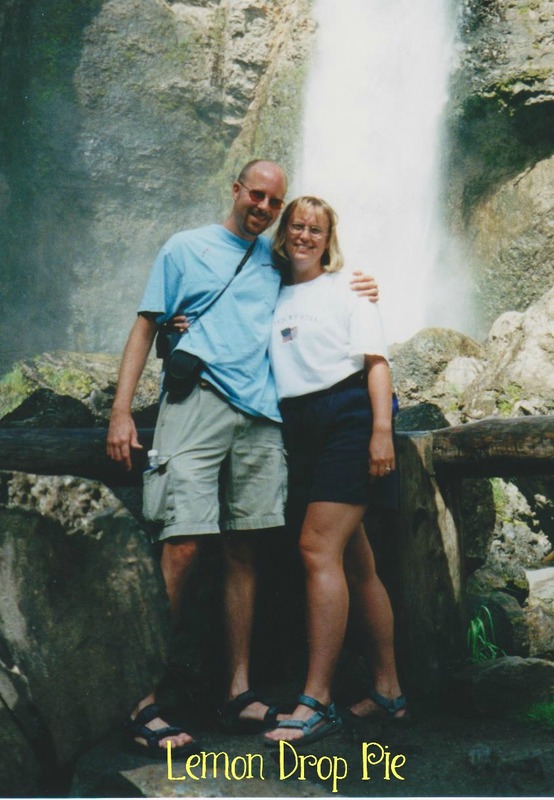 At Yellowstone in the old days, when Ed made me laugh on a regular basis! Ed was thinking about our children long before I was. When we began looking for a house soon after we got married, Ed had some specific requirements. All the cute little houses I liked were no good. He wanted room to grow, a basement, a big backyard, and a playground within walking distance. He also wanted to live in a neighborhood with sidewalks so that we could walk safely to the playground with our kids. Our house was going to be our lifetime house; the house where we were going to raise our family. When I write “lifetime house,” I do not mean our dream house. These are two different things. I’ll describe the dream house for you another day. The lifetime house that we bought has three bedrooms, a basement, an attached garage and is walking distance from both the elementary school and the playground. It was built in the 1960’s, decorated in the 1980’s, and we are still working on updating it. Ed knew what he was looking for, and we found a great house for raising a family. About a year after we bought the house, Lily was born. Ed was thrilled to be a Daddy. He changed Lily’s first diaper and walked around with her for hours while she cried and while she slept. He gave Lily her first bottle when I couldn’t produce enough milk, and we tag-teamed feeding her. I breastfed her during the day, he gave her a bottle at night. 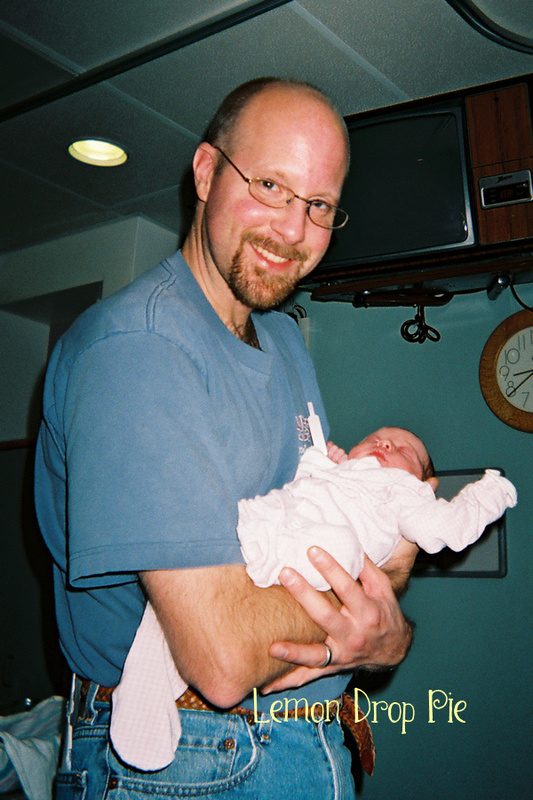 When Emmy was born almost three years later, he was just as thrilled and stayed in the hospital with me and Emmy for four days while I recovered from a c-section. He changed her diapers, I fed her. He slept on that green chair in the picture below every night so that he could help me get Emmy when she cried. When Emmy is having one of her meltdowns and I’m about to lose it, Ed steps in and calms her down. When the girls want to go to the playground, Ed is never too tired to take them. He is always available to read a book or play a game. And he is the best at surprising them with a trip to the ice cream shop. He’s not the perfect dad, but I’m not the perfect mom, either. Somehow, together, we seem to make it work. And there’s one thing I know for sure. He’s always thinking about his girls. Grab the code in the text box under the button to add it to your Spin. 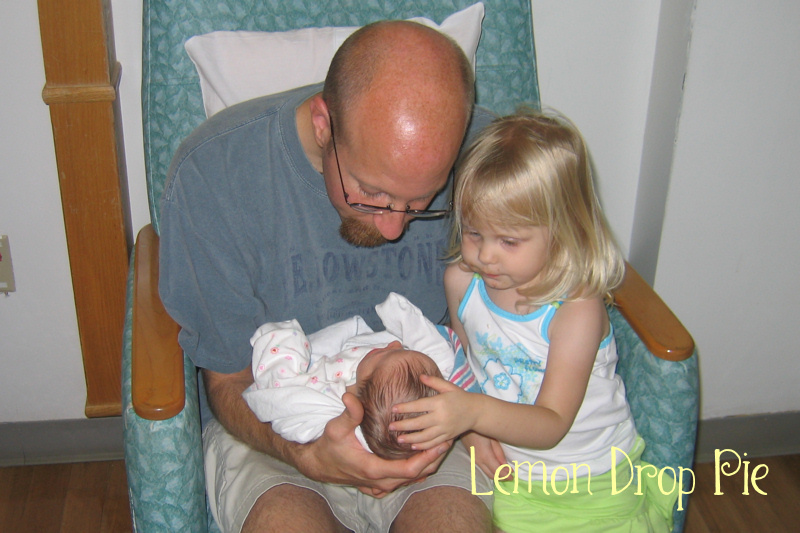 Link up your Father post here or over at my co-host’s blog, Gretchen at Second Blooming! 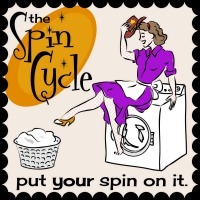 Want to get The Spin Cycle Prompt in your inbox? Sign up for my newsletter! Schmich writes, “A third place is generally an unpretentious spot filled with regulars but open to anyone, where people of all kinds and social ranks mix, for little or no money.” People in my generation will imagine the coffeehouse of Friends, which was shown so often on that TV show that I think it was Rachel, Monica and Phoebe’s first place. However, I don’t think a coffeehouse qualifies as my third place. For one thing, I prefer to brew my own coffee at home. For another thing, when I go to Starbucks, Emmy wants me to buy her a cake pop for $1.25, which seems ridiculous even though I can’t make cake pops on my own. Trust me on this one. 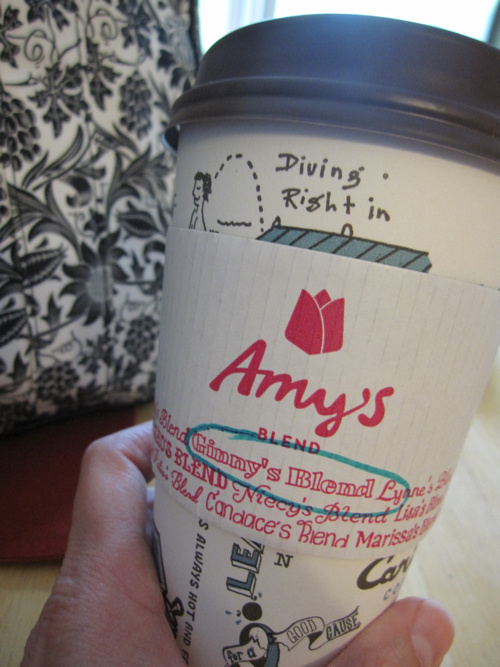 In October, Caribou offers a special blend for breast cancer awareness. Where is my third place, then? Unpretentious and open to anyone? In the past, it certainly would have been the bar where my husband and I would grab a pizza and a beer every weekend. Before I met my husband, my third place was the public library. I loved the hushed reading area in the stacks at my library. The building was old and creaky, and there were French doors leading out to a small courtyard. It was a great place to spend a Saturday afternoon. The library became my third place again after our first child was born. I was a new stay-at-home mom, and didn’t quite know what to do with myself. The second story of the large, suburban library was perfect to find a quiet nook to nurse my newborn and read. As Lily grew, so did our time at the library. We went weekly to check out books and attend story time. Now that Lily and Emmy are both in school, we don’t go to the library as often as we did back then. One day, school was canceled when the power went out. Our first stop was the library. We saw many of Lily and Emmy’s friends there that morning! The third place where I spend the most time, however, is my church. You can find me there every weekend. I’ve been attending the same church since 1981. I attended junior high at the parochial school. My first overnight trip without my parents was with my seventh grade class. When I was sixteen, I went on my first date with a boy in Youth Group (not my husband, but we are still friends). I met my husband, got married and baptized my children at St. Andrews. Now I teach Sunday school and direct VBS at my church. Yes, I think my church is my third place.